After 8500 miles, many weeks on the road with the PT Skiff and meeting so many and yet not all of you, we are back at work in Port Townsend. We will highlight the trip on our blog soon. 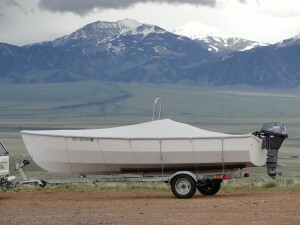 The boat logged some good sea miles, some in extreme conditions and performed very well. Lots of people took the wheel, from friends and their children, to designers, boat builders and critics, and all clearly enjoyed the boat and expressed very positive opinions and reviews. 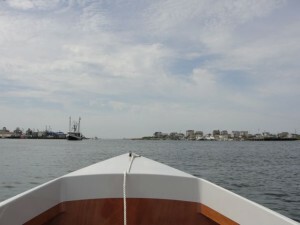 We spent 3 days in Brooklyn Maine at the Wooden Boat Magazine headquarters and Aaron Porter has posted a review of our boat alongside Graham Byrnes’ “Marrissa”. While we were away, the first kit sold was completed and launched in Seattle. See photos of ‘PIKA’ on the photo album page of our site. The builder also wrote on the forum. 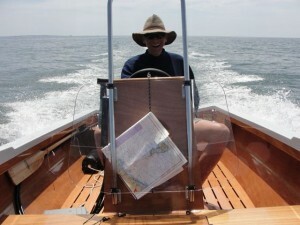 25HP was used on this boat with impressive results. We would have liked to make several other stops along the way but we simply ran out of time. 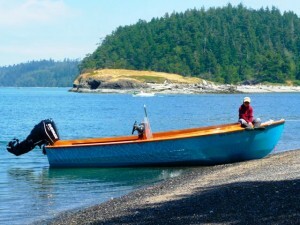 We hope we will see many of you at the Wooden Boat Festival in Port Townsend in September. We are currently accepting orders for kits to be cut in August. The sooner the better for getting your order confirmed, as knowing our quantities will expedite shipping. July 6th...Geee...a lot has happened since we last posted. This trip has been a whirlwind of driving, arriving, busy busy, camp and drive again.. 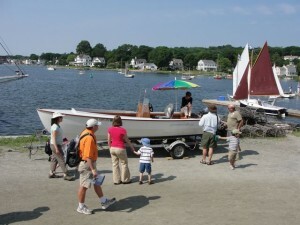 The Wooden Boat Show in Mystic was a lot of fun and we want to thank everyone for their enthusiasm about the PT Skiff. 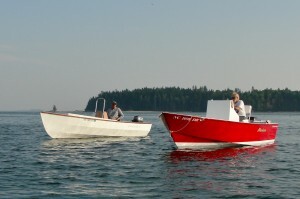 Buzzard's Bay and Martha's Vinyard, Rockland, Camden and now Brooklin, Maine. All in all we have had some great outings from calm to steep 6 footers and 25knots...(you guessed it...Buzzard's Bay...) I will keep adding pictures soon. 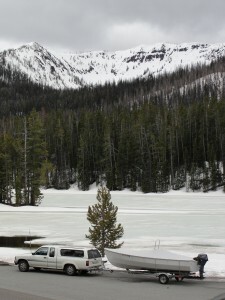 Yellowstone Lake was still icy and thus closed to boating so we continued on to the east coast.